Lincoln City beat Braintree Town to remain unbeaten this season despite playing nearly the entire second half with 10 men. Sean Newton put the Imps ahead early on with an inswinging corner that evaded everyone, before Hamza Bencherif nodded the hosts' second from a Newton cross. Tony Diagne was then sent off for pulling down Jordan Cox and Kenny Davis converted the resulting penalty. 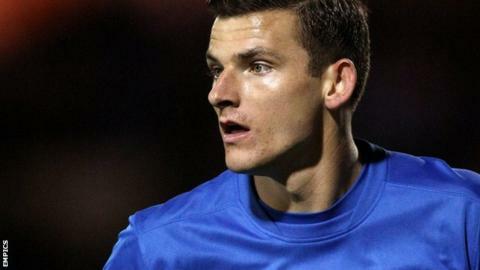 Ben Tomlinson made it 3-1 before Mitch Brundle netted late on for Braintree. "We know we're half-decent and if I can get them all firing then we can give anybody a game. It was a tremendous effort to get the three points but that was a game we should have been controlling and we've got to learn. We can't be sloppy, we've got to be on it all the time. "The sending off and the penalty meant it was all hands to the pump, I'd wanted to take two or three of them off and give them a breather ready for Monday but that's life. "We had some bookings and the sending off which you shake your head at. I've got no complaints with the penalty but how he (Tony Diagne) was judged to be the last man baffles me." Match ends, Lincoln City 3, Braintree Town 2. Second Half ends, Lincoln City 3, Braintree Town 2. Foul by Arnaud Mendy (Lincoln City). Sean Marks (Braintree Town) wins a free kick. Attempt missed. Chez Isaac (Braintree Town) right footed shot from outside the box misses to the left. Goal! Lincoln City 3, Braintree Town 2. Mitch Brundle (Braintree Town) right footed shot from outside the box to the bottom left corner. Marcus Marshall (Lincoln City) wins a free kick. Sean Newton (Lincoln City) wins a free kick. Substitution, Lincoln City. Marcus Marshall replaces Jordan Burrow. Attempt blocked. Jordan Cox (Braintree Town) right footed shot from the left side of the six yard box is blocked. Foul by Jordan Burrow (Lincoln City). Alan Massey (Braintree Town) wins a free kick. Attempt missed. Mitch Brundle (Braintree Town) header from the right side of the box misses to the left. Assisted by Dan Sparkes. Chez Isaac (Braintree Town) wins a free kick. Alan Power (Lincoln City) is shown the yellow card for a bad foul. Foul by Alan Power (Lincoln City). Dan Sparkes (Braintree Town) wins a free kick. Nick Townsend (Lincoln City) wins a free kick. Attempt saved. Alan Massey (Braintree Town) header from the left side of the six yard box is saved. Foul by Sean Newton (Lincoln City). Kenny Davis (Braintree Town) wins a free kick. Attempt saved. Mitch Brundle (Braintree Town) right footed shot from outside the box is saved. Substitution, Braintree Town. Sean Marks replaces Michael Bakare. Substitution, Braintree Town. Dan Walker replaces Sam Habergham. Jake Caprice (Lincoln City) is shown the yellow card for a bad foul. Foul by Jake Caprice (Lincoln City). Foul by Michael Bakare (Braintree Town). Hamza Bencherif (Lincoln City) wins a free kick. Attempt missed. Nathaniel Brown (Lincoln City) right footed shot from a difficult angle on the left misses to the right. Goal! Lincoln City 3, Braintree Town 1. Ben Tomlinson (Lincoln City) right footed shot from a difficult angle on the right to the bottom left corner. Assisted by Jon Nolan.